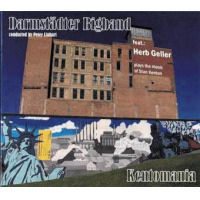 Of all the recorded tributes to the legendary Stan Kenton released during the centennial of his birth (2011), the Darmstadter Big Band's Kentomania (it's spelled that way on the jacket cover and disc) is unequaled for one reason alone: it has former Kenton standout Herb Geller as a soloist, the others do not. Geller, now in his eighty-third year, is as sly as a fox and spry as a gazelle on Bill Holman's emphatic arrangements of "Indiana" and "I Remember You" and Bill Mathieu's beguiling take on John Lewis' "Django." While that alone should be worth the price of admission, there are other reasons to consider Kentomania, not the least of which is that conductor Peter Linhart has assembled a world-class ensemble that readily absorbs the Kenton library and brings it vividly to life. The album opens on a high note with Kenton's timeless theme, "Artistry in Rhythm," which segues immediately into Gerry Mulligan's even-tempered dance-floor arrangement of the Rodgers and Hart standard "Where or When." "Indiana" is followed by Hank Levy's seductive "Decoupage," Holman's fast-paced "Works" and his fiery arrangement of Enresto Lecuona's "Malaguena," "Django" by Bob Curnow's rock-inflected arrangement of "Live and Let Die" and Johnny Richards' temperate reading of Victor Young / Ned Washington's "Stella by Starlight." After Geller shines on "I Remember You," the band wraps things up neatly with Mark Taylor's prancing "Granada Smoothie" and a brace of splendid charts by Dave Barduhn: Stephen Sondheim's "Send in the Clowns" and the Hanna / Barbera cartoon classic, "Meet the Flintstones." Tenor saxophonist Linhart is the featured soloist on "Stella by Starlight" and "Flintstones," alto Dieter Bock on "Decoupage" and "Malaguena," guitarist Axel Muller-Schroth on "Live and Let Die," trumpeter Ralf Noske on "Granada Smoothie," pianist Steffen Stutz on "Send in the Clowns." None of them disappoints, nor does the ensemble as a whole. If nothing else, Kentomania explicitly affirms that European jazz ensembles are advancing ever closer to their American counterparts when it comes to assimilating and unraveling music that once was looked upon as inherent in our nature and thus beyond the reach of others. It helps, of course, to have Herb Geller in the lineup, but even without his presence this would remain an exemplary synopsis of the transcendent music of Stan Kenton. Alon Yavnai, an Israeli who began playing the piano at age four, says little about himself in the sleeve notes to Shir Ahava, his splendid large-scale recording debut with Germany's outstanding NDR Big Band. A quick glance online, however, reveals that he studied at Boston's Berklee School of Music, earned first-place honors in the Great American Jazz Piano Competition, has played and recorded with the great Cuban multi-instrumentalist Paquito D'Rivera (with whom he won a Grammy Award for Best Latin Jazz Album), and has performed with such well-known musicians as Freddie Hubbard, Regina Carter, Joe Lovano, Nancy Wilson, Louis Hayes, Ravi Coltrane, Claudio Roditi, Rufus Reid and George Garzone, among others. 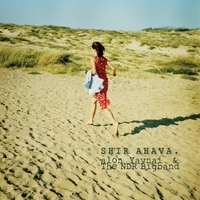 Yavnai first became acquainted with the NDR Big Band while touring as a member of D'Rivera's rhythm section, wrote a couple of charts for the band, then approached producer Axel Durr to suggest that they collaborate on a full-blown big-band enterprise. Durr was receptive, so Yavnai returned to New York and started writing. The result is Shir Ahava ("Love Poem"), which enwraps seven of Yavnai's lively and colorful compositions / arrangements. Besides writing everything, Yavnai is listed as pianist but the keyboard he's playing on "Travel Notes" sounds early on more like a Persian santour than a conventional piano. Soprano Lutz Buchner and trumpeter Ingolf Burkhardt also solo on "Travel Notes," one of three numbers that run for more than ten minutes (the others are "Au Castagney" and "Ilha b'nit"). The NDR receives a vigorous workout on every track and welcomes the challenge of helping Yavnai's music come alive.